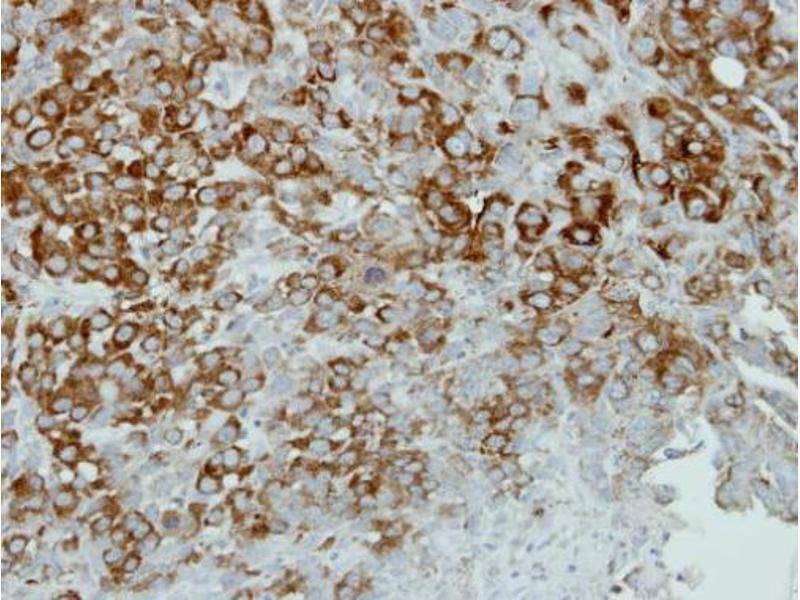 IHC-P Image alpha Actinin 4 antibody [C2C3], C-term detects alpha Actinin 4 protein on mouse intestine by immunohistochemical analysis. 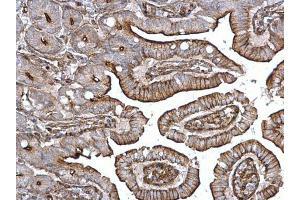 Sample: Paraffin-embedded mouse intestine. 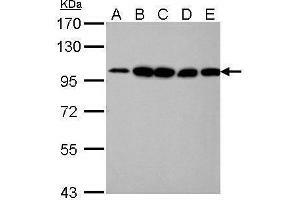 alpha Actinin 4 antibody [C2C3], C-term , dilution: 1:500. 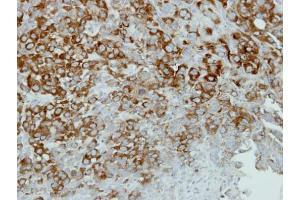 IHC-P Image Immunohistochemical analysis of paraffin-embedded A549 xenograft, using alpha Actinin 4, antibody at 1:500 dilution. 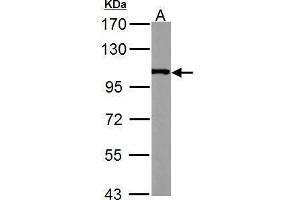 Immunogen Recombinant protein encompassing a sequence within the C-terminus region of human alpha Actinin 4. The exact sequence is proprietary. 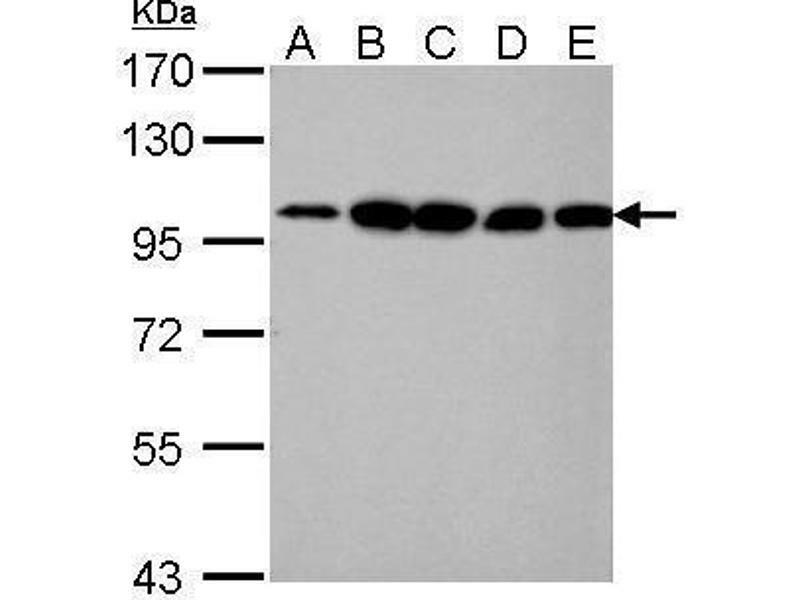 Background Alpha actinins belong to the spectrin gene superfamily which represents a diverse group of cytoskeletal proteins, including the alpha and beta spectrins and dystrophins. 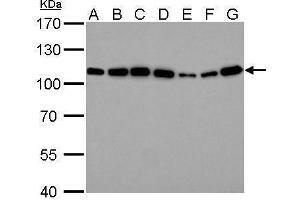 Alpha actinin is an actin-binding protein with multiple roles in different cell types. 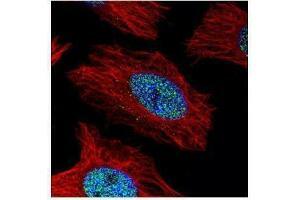 In nonmuscle cells, the cytoskeletal isoform is found along microfilament bundles and adherens-type junctions, where it is involved in binding actin to the membrane. 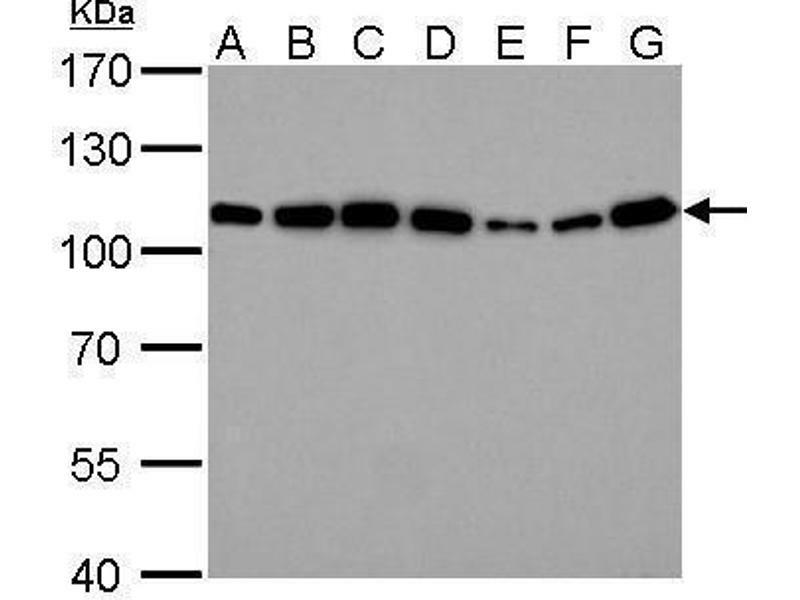 In contrast, skeletal, cardiac, and smooth muscle isoforms are localized to the Z-disc and analogous dense bodies, where they help anchor the myofibrillar actin filaments. 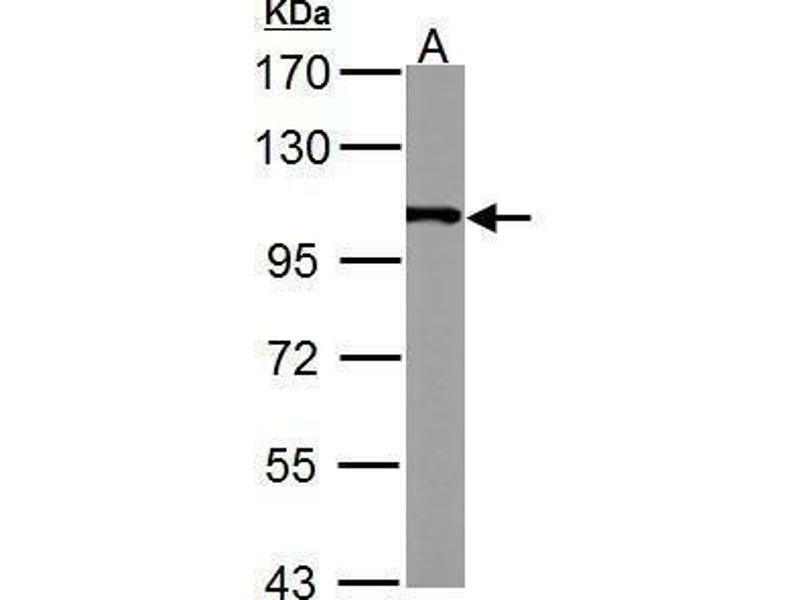 This gene encodes a nonmuscle, alpha actinin isoform which is concentrated in the cytoplasm, and thought to be involved in metastatic processes. 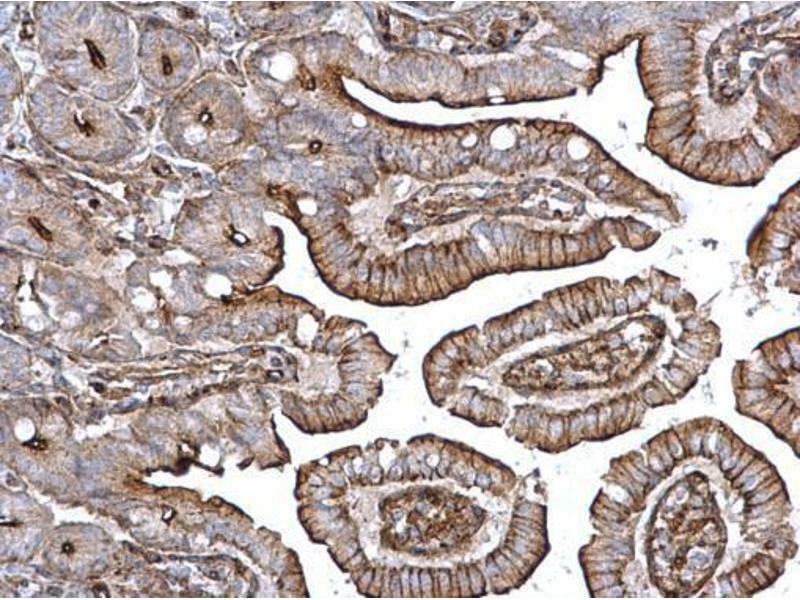 Mutations in this gene have been associated with focal and segmental glomerulosclerosis. 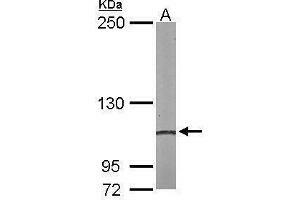 Buffer 0.1M Tris, 0.1M Glycine, 20 % Glycerol ( pH 7). 0.01 % Thimerosal was added as a preservative. 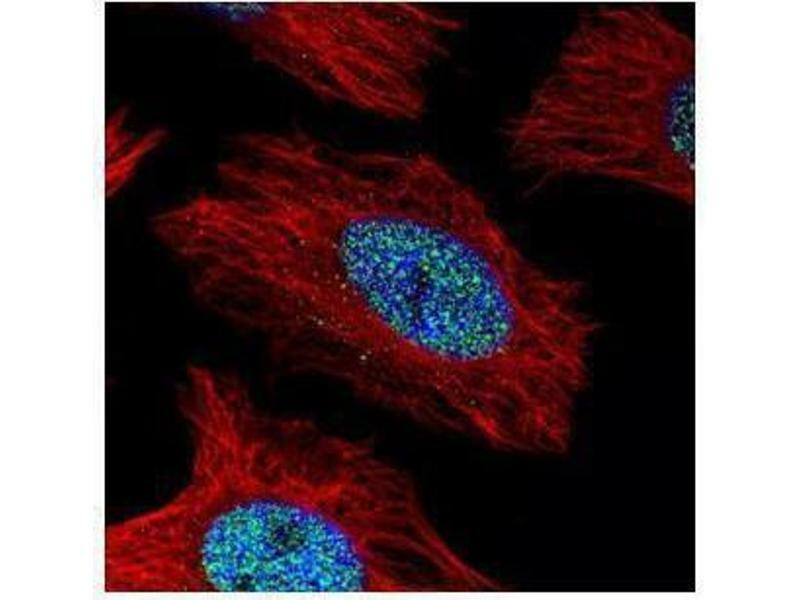 ICC/IF Image Confocal immunofluorescence analysis (Olympus FV10i) of paraformaldehyde-fixed HeLa, using alpha Actinin 4, antibody (Green) at 1:500 dilution. 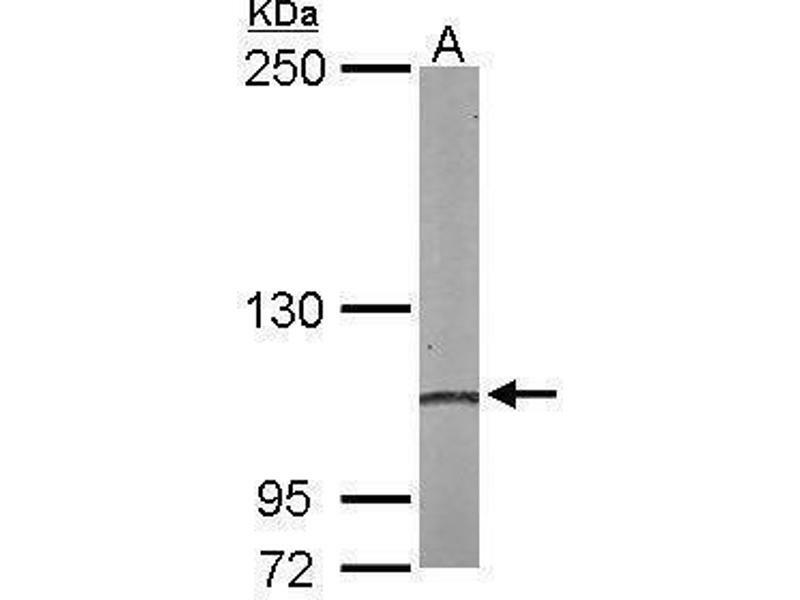 Alpha-tubulin filaments were labeled with (Red) at 1:2000.